Growing up in Greece, I was obsessed with tales of the South Seas–Fletcher Christian’s romantic odyssey, standing up for the underdogs at the Bounty, his journey as far as possible from homeland. I wanted to follow in his footsteps, and in the summer of 1995 everything came into place. I had a job in London that allowed me to take a vacation to French Polynesia. I was preparing for my trip–studying, picking my atolls carefully–when my boss summoned me to her office. She reminded me that the French government was working towards testing nuclear weapons in the region. She was a mother, she said. She was concerned for me. I knew about the upcoming nuke tests; of course, it was everywhere. But her puzzlement only made my curiosity stronger. I would come back and tell. I could bond with the underdogs of the South Seas against Jacques Chirac, the Captain Bligh of the day. And that is what I did. The knowing faces of the locals I met, the frowns, the stoic bewilderment, the draining proudness–these memories will last me a lifetime. I was living history. They have a point. I can’t keep up with today’s fragmenting and expanding shades of safety and adventure. You can swim “safely” among man-eating animals, but you may not feel “safe” at a party while an ex is seated at the other end of the room. Safety seems a prerequisite to all expressions of life: dating, working, and, of course, traveling. Safe adventures are an exploding industry. With “safety experts” accompanying you, you can go on a volcano safari, or gawk at silverback gorillas in eastern Congo. But over-reliance on safety wasn’t always the way. It used to be that while on the road, when all plans went south you had an adventure. And if you were lucky, in hindsight, you’d fall in love with the experience, and jump on the opportunity again. Greece was never truly for everybody. A combination of romanticism–i.e., fighting for a cause–adventure, and escape drew traveling writers there, and they helped define modern Greece to the rest of the world. Lord Byron, our Mediterranean Fletcher Christian, fought in the Greek war of independence and died while at it. Famous travelers stopped traveling when they got to Greece, running away from something or looking for clarity and answers. The lack of passion in Western Europe brought Henry Miller to Greece. He fell in love with his Homeric interpretation of Greeks, and depicted a bromance with George Katsimbalis in one of the best books he ever wrote: The Colossus of Maroussi. The Cretan resistance in World War II put Greece under Patrick Leigh Fermor’s skin. An infatuation with nomadic life, a self-distracting internal conflict, constantly digging for the undiscovered or preserved, led Bruce Chatwin to Patmos and Mount Athos. They all fell in love with the curiosity of the Greeks, with their naive perplexity about Western ideals and the American dream. How could they not? Modern Greeks are still confused on identity and priorities. Think about it; Greece began peacefully shaping its identity as a nation in the early 1980s. The fragility in the region during the first 75 years of the 20th century (the Balkan wars, the Smyrna ruin, two World Wars, a civil war, two dictatorships) provided lots of subtext when, for the first time, Greeks voted for socialism in 1981. “The world owes us” was in every page of every Penelope Delta book that my generation grew up with–we were the rogue child of the West, we thought, manipulated and sacrificed for foreign stakes or deterrence. And yet this was the moment when Greece found itself welcomed with open arms into the club of its presumed abusers: the European Union. Such turns of fortune can make a nation’s heart skip a beat. Ravenous peasants and olive oil traders were suddenly faced with worldly breaks. What do you do when you finally think that you can have your way with those who misused you? You go overboard. You party. You dress grand and talk scruffy. And then, of course, you crash. The last seven years have transformed Greece into a surreally bleak and unpredictable soap opera. Never-ending demonstrations, unprecedented illegal immigration and neo-Nazism, reactive voting, unlawful referendums, zigzagging prime ministers incapable of clear decision-making led to social, economic, and political chaos. Greeks–bloodied, wounded and exhausted–keep protesting all the way to the brink. Miller is right for the most part, but he failed to predict the immediacy and speed of the collapse of a global economy that left people hurt, grasping for life, and, not least of all, subject to instant global shaming. Last month, “Greek humiliation” spread like fire thanks to headlines in the most factual papers. And bleeding pride is what one will witness if one travels to Greece today — the same stoic and fearless faces I saw in the people of the Tuamotu Islands in the South Pacific in 1995. So, if you leave Mykonos to the oligarchs and their champagne-showering offspring–forget inequality for a moment–you can visit real Greece. 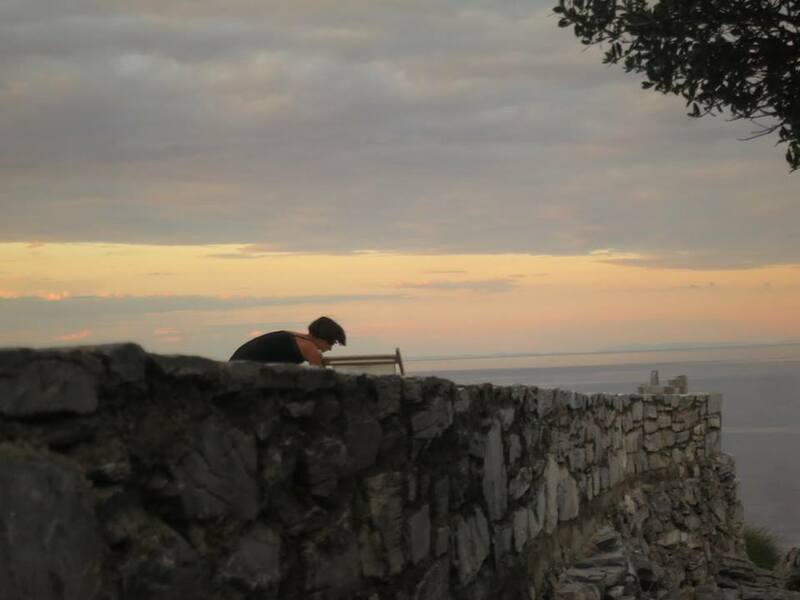 Travel to Southeast Pelio, a rough mountain that penetrates the sea. A peninsula that lets you be totally exposed to natural elements: water, rock, violent winds, and even fires. When Aeolos releases the “meltemi” at the end of August, wooden windows will break loose and fly out to the Aegean, and sea waves will keep the boats adrift. The summer’s heat will keep building until it turns into fire or rain. And either way, you have to stand it. For centuries escaping there has been the mantra, but escaping from there was always a challenge. The mountain still harbors families descended from scapegoats and outcasts. 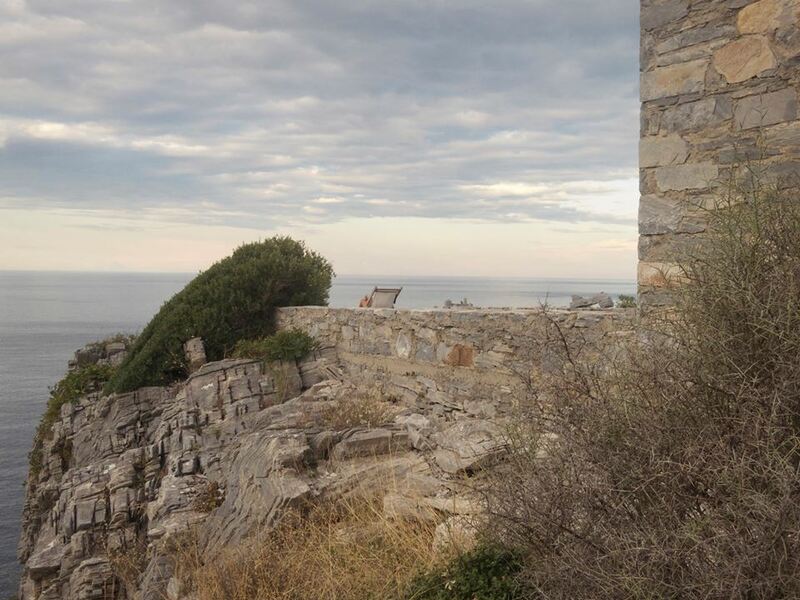 Isolated villages, like Xourihti and Patrihori, are one with the rocks they are built on; Game of Thrones-like dwellings erupt from the land, half-rock, half-houses, overlooking the islands of Sporades. Drive up the mountain of Vasilitsa from Grevena. Bring your sweaters for their cool August nights. Listen to wolves howling outside the villages, and wash yourself in the rivers by Lavda and Filippaoi. And if you do rent a boat, rent a sailing boat–the right way to get lost in the Aegean. Find Levitha, if you can, and jump off the boat into the waters of Polyaigos off Kimolos. You may just choose to stay there until someone comes looking for you. Or sail to Patmos and walk up to the Cave of the Apocalypse–a chilling experience. Go to the upcoming film festival on the island and look at the eyes of the locals watching the film on an outdoor big screen as though it was their first time doing so, the Miller way. The island has no theater. If you stay in Athens, talk to the locals. Ask the freddo-sipping unemployed kids about their favorite graffiti walks in Keramikos or Psiri–just the way out-of-towners ask me about my favorite architectural tours in NYC. Youth has a rough charm. The poor are not afraid of the rich; they’ve got nothing to lose. They’ll give you advice for your government, and they will send you to their hoods. Graffiti follows the fury. Graffiti is not permanent, it is a form of constant rebirth. And, finally, when you run into a demonstration–and you will–let it flow by you. Let yourself be bounced by people shouting opinions in walking distance from Pnyka where the Athenian assembly of democracy took place in the 5th century BC.